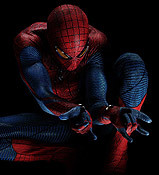 IMAX Corporation and Sony Pictures Entertainment today announced that 3D action-adventure The Amazing Spider-Man will be released to IMAX theatres simultaneously with the film's worldwide release on July 3, 2012. To date, the "Spider-Man" motion picture franchise has generated more than $2.5 billion in worldwide box office receipts. The last two installments of the franchise were also released in IMAX. "I was blown away after getting a sneak peek at some early footage for 'The Amazing Spider-Man' and this latest installment in the iconic franchise is a perfect DNA match for IMAX," said Greg Foster, Chairman and President, IMAX Filmed Entertainment. "The film is an important addition to our 2012 film slate and we're excited to be working with Marc Webb, Avi Arad, Matt Tolmach and the team at Sony Pictures Entertainment to take IMAX and Spider-Man fans around the globe on this next adventure in IMAX 3D." The IMAX release of The Amazing Spider-Man will be digitally re-mastered into the image and sound quality of The IMAX Experience with proprietary IMAX DMR (Digital Re-mastering) technology. The crystal-clear images coupled with IMAX's customized theatre geometry and powerful digital audio create a unique environment that will make audiences feel as if they are in the movie.